Leda Masters. She attended school in Linn County, KS. was an avid KC Chiefs fan. Christopher Ray Horn, 58, of Shawnee, KS passed away Wednesday, March 7, 2018, at his home. Chris was born July 24, 1959 to the late June and Ray Horn in St. Louis, Missouri. Christopher went to high school at Shawnee Mission Northwest and attended classes at Memphis State University, Florida State University and Kansas University. Christopher worked in Kansas City's restaurant industry for over 30 years, during which time he made many long-lasting friendships and bonds. Chris's greatest joy was his family. He was his children's biggest cheerleader, and he took great pride in supporting and encouraging their passions and endeavors. Chris is survived by his wife, Margaret Horn; his three loving daughters, Emily Horn, Kirstin Horn, Samantha Bahlmann and her husband Patrick McCune; his son, Jeremiah Krumm; his father, Ray Dean Horn; his sister, Stella Lindemeier and her husband Larry Lindemeier; his brother, Richard Horn; and three grandchildren, Krista, Joseph and Silas. The family will be holding a memorial service on March 25th from 1:30pm - 5pm at The Simpson House, 4509 Walnut, Kansas City, MO 64111. Chris and his family had recently suffered a house fire in December of 2017. All family belongings and memories were lost. The family would be very grateful if any persons coming to the service would bring any photos, videos, etc. of Chris they would be willing to share. Kansas City, MO. Eventually, retiring from the Olathe Public Schools in Olathe, KS at age 77. She was preceded in death by her son Richard Carlson; her parents; brothers: David, Aaron, and William; and sisters: Lorena, Beaulah, Mamie, Mary Etta, Lil, and Donnie. She is survived by her son, Shane Carpenter (Lori); 10 grandkids; 13 great grandkids; her sister, Peggy Sanders of Bartlesville, OK; nephews: Scott Sanders,Tim Sanders (Heather), Andy Rigdon (Rachel), Joe Ackley, Tom Wiedner; her niece, Karen Cousins and many friends. Interment service, Saturday, February 17, 2018, 11:00 am at Bonner Springs Cemetery, Bonner Springs, Kansas. Theresa Michelle Prather, 67, passed away on February 11, 2018 in Kansas City, Missouri. She was the widow of Robert Prather. Born May 25, 1950 in Durham, North Carolina, Theresa was the daughter of Rubin Weston and the late Cozetta Weston. Theresa belonged to St. Louis Catholic Church and was a Consecrated Widow of the Society of Our Lady of the Most Holy Trinity. Theresa enjoyed baking and spending time with her grandchildren. Theresa will be remembered for her love of the Lord and never meeting a stranger. Theresa is survived by her father, Rubin Weston (Betsy); two daughters, Yvette Michelle Stroman of Southfield, Michigan and Crescendel Alexandria Moss (Willie) of Warner Robins, Georgia; grandchildren Kenzie and Khloe; siblings, John Willie Weston (Lisa), Kittie Weston Knauer (Max), Mark Weston (Laverne), and Rachel Weston (Kang); a host of nieces and nephews, cousins and friends. A memorial mass will be held on February 15, 2018 at 6:00pm at St. Louis Catholic Church, 5900 Swope Parkway; Kansas City, Missouri 64130. A reception will follow immediately at 5401 Brookside Boulevard; Kansas City, Missouri 64112. Linda Gail (Botteron) Purinton died at Lawrence Memorial Hospital, Lawrence, KS on January 22, 2018 in at the age of 58. Her body was cremated. Linda is survived by her mother Mary Coggins, Miami, OK: children, Justin Green (Sherri), Kansas City, KS and Danielle Green, Lawrence, KS; grandchildren, Katlen Green, Maria Green, Keegan Lee, Kaylan Lee and Kayden Lee; sister, Pamela K. Swatek (Jimmy) of Miami, OK and brother, Marion Botteron, Miami, OK and many nephews and great-nephews and nieces in OK and GA. She is preceded in death by her father Buford Botteron, the love of her life Bruce Purinton and her sister RaDonna Holman. Linda was born July 30, 1958 in Kansas City, KS to Buford and Mary Lee (Brewer) Botteron. She married Mark Green in Las Vegas in 1978, but divorced in 1985. In 1993 she married Bruce Purinton in Linwood, Kansas. She attended carpenter training while working for J E Dunn Construction. During that time she was injured and had to have back surgery. She was a member of the Carpenter’s Union. 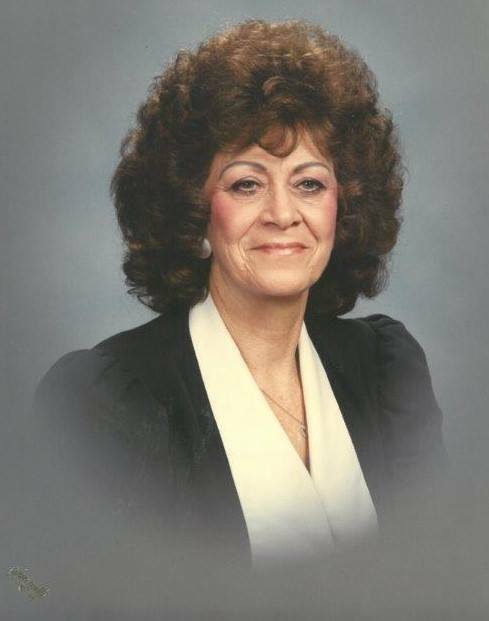 She loved plants and flowers, fishing, shopping and spending time with her grandkids. A memorial service will be scheduled for sometime in March 2018 at Wyandotte County Lake. All will be welcome to attend and celebrate Linda’s life. 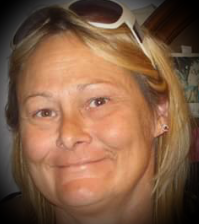 In lieu of flowers, please call or text Sherri Green at 785-393-8396 for information about helping with expenses. William Anderson, 70 pf Kansas City, Ks passed away January 26, 2018. Funeral service ,Thursday, February 8, 6 P.M., with visitation at 5 P.M., Kansas City Funeral Directors, 4880 Shawnee Drive, Kansas City, KS. William is survived by sister, Jody Lieb, nephew James Lorenz and nieces Angela Mackey, Tina Segura, and Jana Williams. 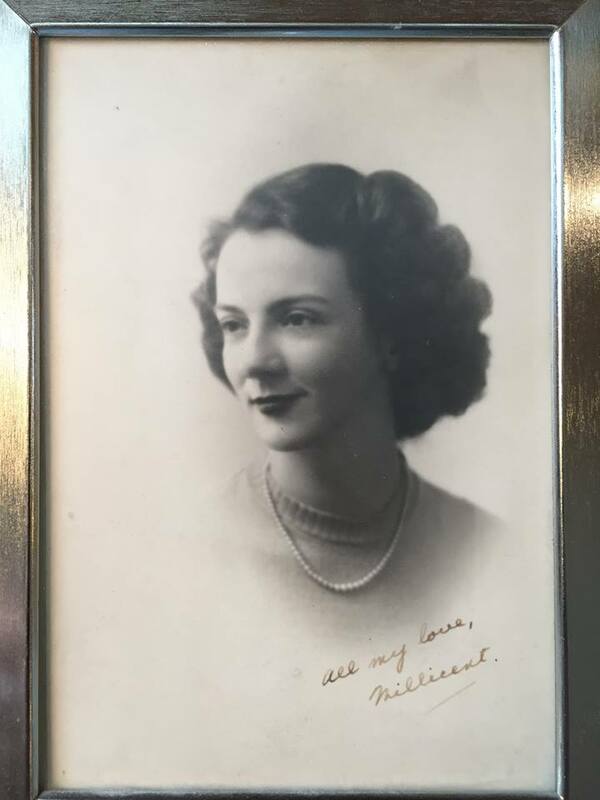 Millicent Agatha Draper, 92, Parkville, passed away peacefully January 10, 2018 at home. Millicent was born in Moncton, New Brunswick on February 24, 1925 to Harry Wran MacLeod and Mary Phyllis Lister MacLeod. She was married to John Andrew Roy Draper on May 19, 1949 in Simcoe, Ontario. They were very proud to become United States citizens on December 20, 1974. Her husband Roy preceded her in death in 2004. She had been active in the Episcopal Church of the Good Shepherd, Kansas City North serving on the Altar Guild and was Altar Guild Directress for many years. She embroidered altar linens for the Church. She and Roy donated the Our Lady of Walsingham window in the Church’s Chapel. She is survived by her loving daughter Mary Catherine Draper, of the home. She is also survived by niece Caren MacLeod of Ottawa, Ontario, and loving cats Puff and Magic. She was preceded in death by her husband Roy, her parents, her brother Leland B. MacLeod and her nephew Cameron MacLeod. She was also preceded by her beloved pets: pugs, Yin Yang and Mugsy, her cocker spaniel Buffy and her cat, Curio. She was a loving wife and mother and always supportive of her daughter’s pursuits and activities, many of which they enjoyed together. She enjoyed being a seamstress, sewing, needlework and counted cross stitch. Reading the newspaper was a daily priority and she enjoyed jigsaw puzzles, gardening, flowers and sitting outside on the porch. She also enjoyed going to Teddy Bear shows with her daughter and looked forward to visiting with the bear artists. She became known as the “Jubilee Mother” to all at this annual event. She loved Chinese food, almost any fish, and all things chocolate. Services will be held Saturday, January 20, 2018 at 2:00 p.m. at the Episcopal Church of the Good Shepherd, 4947 N.E. Chouteau Drive, Kansas City North 64119. Followed by Inurnment at the Church’s Columbarium. The family will receive friends at the Church after the service until 4:00 p.m. The family requests no flowers, but suggests memorial contributions to the Church of the Good Shepherd or St. Luke’s Hospice Dogs on Call therapy dog program. We would like to thank St. Luke’s Hospice and all of her caregivers, doctors, nurses and medical staff for the care they have provided to her throughout the years.